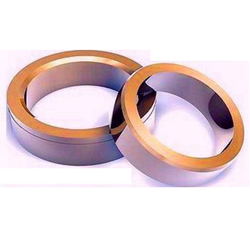 Metering rings such as Carbon valve seat, kidney valve, carbon blades, carbon rings etc. are used in petrol filling and other chemical pumps, characterised by very close light band lapped surface for leak-proof sealing. As we have the fastest transit facility, we are capable of delivering the orders within the postulated time. Our pool of professionals keep close eye on the quality of the products so as to deliver the best in class range. We are offering valve seats for the application of wear in assembly of Gas Lift Valves, Wire Line Retrievable (WLR) Injection pressure operated (IPO) gas lift valves in Oil & Gas Ind. 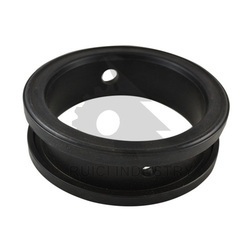 These are made to perfect sizes in controlled tolerances in order to fit during assembly. Leveraging our vast industrial experience in this field, we are committed to offering a wide spectrum of Butterfly Valve Sheets at affordable rates. The Valve Seats in an diesel engine is the surface against which an intake or an exhaust valve rests during the portion of the engine operating cycle when that valve is closed. PTFE is increasingly becoming the preferred material by ball valve manufacturers. This is because of its self-lubrication property along with high pressure tolerance ensuring dimensional integrity of product. It is also by and large chemically inert/resistant to most chemicals and can hence be utilized in the chemical/petroleum industries as well.